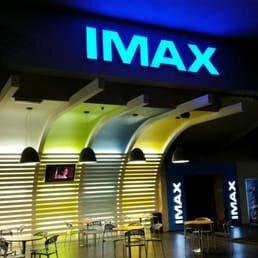 June 2017 – IMAX Corporation (NYSE:IMAX) and UCI Italia, Italy’s largest cinema circuit, today announced that guests visiting the Oriocenter mall in Azzano can soon enjoy the world’s most immersive cinematic experience when UCI Italia’s new IMAX® theatre opens June 24. The theatre, which will launch with the theatrical release of Michael Bay’s Transformers – The Last Knight, will feature Italy’s first-ever IMAX® with Laser system as well as the largest IMAX screen in the country, ushering in a new era of immersive moviegoing in Italy. IMAX with Laser represents a quantum leap forward in cinema technology, providing audiences with the sharpest, brightest, clearest and most vivid digital images ever, combined with a whole new level of immersive audio. UCI Orio is the 49th multiplex of the circuit and is located within Oriocenter, the largest shopping mall in Italy and one of the largest in Europe. UCI Orio features 14 fully digital screens (five of which are 3Denabled), with a Dolby Digital Surround audio system. It offers a total of 2,500 seats, including 472 extrawide VIP seats and 34 seats for those with disabilities. In addition to the IMAX theatre, the cinema’s strengths include: the new cafeteria concept branded “Backstage Café”, a wide range of films and showtimes, SKIN UCICARD - the only loyalty scheme in Italian cinema industry offering discounts and free tickets, the Cinefans pre-paid cards with five discounted tickets included, “skip the queue” digital ticket-purchasing services; and ATM with the option to pay in cash at no additional charge. UCI Orio is for everyone! The wide-ranging programme features; blockbusters alongside live and prerecorded events, daily opening at 10 am, the perfect venue for children’s birthday parties, arthouse films in the ESSAI SCREENINGS and films in English, special pricing for all guests on Sunday mornings, and on Tuesdays for women only. Designed from the ground up for IMAX's largest screens, the dual 4K laser projection system is equipped with a new optical engine and suite of proprietary IMAX technologies capable of projecting an image with up to a 1.43:1 aspect ratio with maximum resolution and sharpness, unparalleled 2D and 3D brightness, industry-leading contrast, and an expanded color gamut that will allow filmmakers to present more vivid and exotic colors than ever before. Continuing the legacy begun by his use of the 15 perf 65mm IMAX® cameras in The Dark Knight, The Dark Knight Rises and Interstellar, acclaimed director Christopher Nolan has once again captured several sequences of Dunkirk using IMAX® film cameras. Excluisvely in IMAX, these sequences will expand to fill the entire IMAX screen with unprecedented crispness and clarity for a truly immersive experience for moviegoers. In April, the Company signed a 25-theatre agreement with UCI Italia’s parent company, AMC Theatres and ODEON Cinemas Group, marking its largest European deal to date. The new IMAX theatres will be located at ODEON Cinemas Group locations throughout Europe including Italy. UCI Italy is the largest and most popular cinema operator in Italy, part of ODEON Cinemas Group, the largest cinema circuit in Europe. Since 2016 it has been part of AMC Theatres, the largest movie exhibition company in the U.S., in Europe and throughout the world with approximately 1,000 theatres and 11,000 screens across the globe. ODEON Cinemas Group currently has multiplex cinemas in the UK, Ireland, Austria, Germany, Portugal, Spain, Sweden, Norway, Finland, the Baltic countries and, naturally, in Italy, where UCI CINEMAS is the leader with 49 multiplex, 495 screens and the largest market share. The mission of UCI CINEMAS is to create inspiring entertainment experience for every guest, thanks to the best in class audio and video standards of the projections, ultra-comfort and extra-wide VIP seats, and an steady focus on every stage of the customer journey: from the programming selections and scheduling to the promotional and loyalty strategies, from the customer service experience to the designing of new services and products geared towards all cinema lovers.